Founded in 1905, the original name of the Band was the Wellington Corporation Tramways Band, being stationed at that time adjacent to the Newtown tram sheds. Relocation in 1964 to the Band’s current location at the Ngaio Train Station saw a name change to the Onslow Brass Band to reflect its new locale. The Band later enjoyed sponsorship from Wellington’s Evening Post Newspaper, becoming the ‘Evening Post Onslow Brass Band’ in 1981. This relationship continued until 2002 with the merger of the Evening Post and Dominion Newspapers. Since 1998, the Band has used the name Wellington Brass to better reflect its standing as Wellington city’s premiere Brass Band. Today, under the leadership of current Musical Director David Bremner, the Band continues to make its mark on the new century whilst maintaining its great traditions and continued quest for musical excellence. With over 110 years of proud history, the Band has built a first class and formidable reputation for highly entertaining concerts, but crucially has also learnt to adapt to the times. In 2013 Wellington Brass organised the inaugural Oktoberfest: The Bavarian Showdown on Wellington’s waterfront, attended by thousands of Wellingtonians, capitalising on the entertainment potential of the Brass Band. In addition, the Band has also expanded its horizons in order to tap into the rich collaborative opportunities that the city of Wellington provides. The Band has recently performed in combination with musical groups as diverse as the Orpheus Choir of Wellington, freelance musician Adam Page and the New Zealand Symphony Orchestra. The Band has many notable triumphs to its credit in the highly competitive contesting field, including National ‘A Grade’ titles in 1969, 1981, and most recently the completion of a record equalling four back to back titles in 2013, 2014, 2015 and 2016. In 2015 the Band did the double by adding the title of Australian National Champions to its resume, winning the iconic ‘Fireman’s Helmet’ Trophy following an exciting contesting week in Sydney. 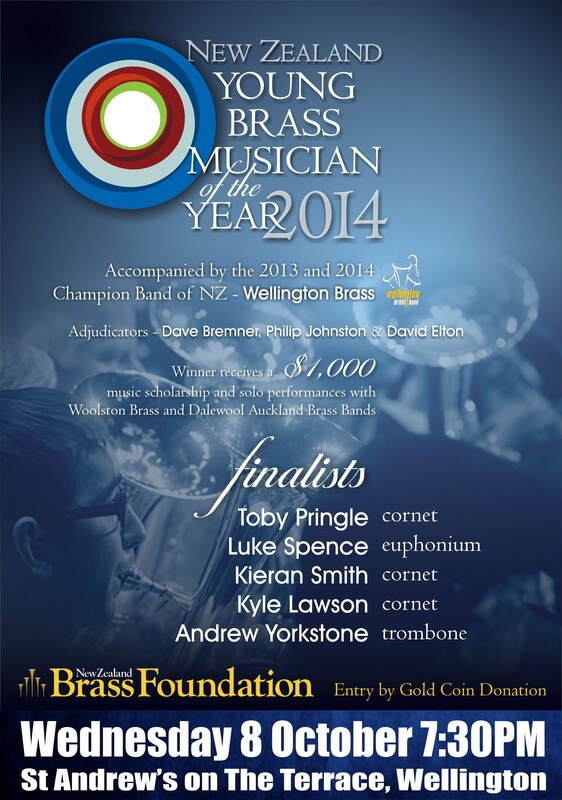 This collection of successes has firmly established Wellington Brass as one of the premier brass ensembles in the Wellington region and New Zealand. Recordings also form a key part of the Band’s activities, notably with the release of its CD Renaissance in 2011. 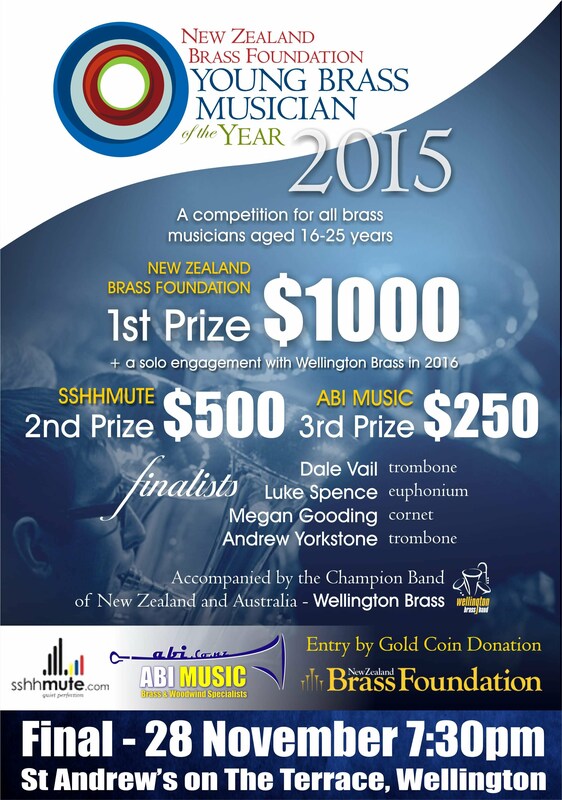 The Band has also accompanied many distinguished New Zealand soloists in their individual recording ventures. The Band has a highly active involvement in music education and teaching in the community, performing at many primary schools each year to promote and encourage kids to get involved in music.